I’ve been sleeping with my windows open since the overnight temps have become tolerable. Not only does the night air makes me feel like I’m sleeping better, but I feel it necessary to share my snoring with the neighbors. I was awakened this morning by the just as aurally abusive garbage truck. I swear to you… My groggy mind thought I was waking up in 1975! I could hear the brakes squawking as the truck came to a stop. I could also hear Van McCoy & The Soul City Orchestra’s “The Hustle” blaring through the cool air of the morning. Then I could hear the diesel engine roar as the garbage truck hustled to the next stop. I reached for my glasses and looked for my cell phone just to make sure that I was still residing in the present tense. Shewww! What a relief! My cell phone was proof that I didn’t end up in what is known on all those Star Trek’s as a “spatial anomaly”. They gave me two games to play on my Zune! I got a Texas Hold ‘Em game along with something called Hexic. Since I know how to play poker… I decided to see what Hexic was all about. As usual, I read the instructions and didn’t quite grasp the concept. So I decided to fire it up anyway and take it on a test run. At first, I didn’t like it. But after 2 hours when the Zune battery had had enough… I was hooked! If you don’t know what it is… Feel free to play it for free here. All I can explain now during my newly addictive state is that you have to get a group of the same color hexes lined up so they will disappear and give you points. I haven’t been like this since Tetris. I haven’t spent hours with a video game since I first got SIM City 2000 for my old Playstation. Hell… I’m fighting to urge to play it right now! I had dinner with a friend last night and as soon as I got back home… I went right for the recharged Zune. I played that joker until it couldn’t take it once again. But this time I finished my game off with the AC adapter. Screw it! I’ve written over 500 words… I’m going to play some Hexic, baby! I love the new look of your blog. It rocks!! I agree! Love the new look! 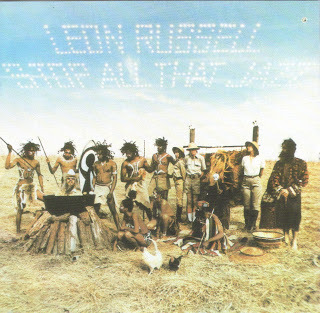 Any chance you or anyone else could post a link for a share of Leon Russell Stop All That Jazz?